Earn $3000 ( Yes, Three Thousand Dollars ! ) 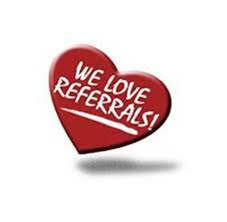 Referral Bonus, when you refer an IT Professional to Urooj, who ends up joining Urooj on Full time basis. This is only for Candidates who are already in USA, have a project in hand or can bring a project on their own to work thru Urooj. When the candidate stays employed on full time basis with Urooj, for atleast 1 year. After we receive our payments from our Clients / Partners. 50% of the referral fee will be paid after we receive 6 months of Billing and the balance 50% will be paid after we receive another 6 months of billing. This is only for Candidates who are already in USA on a valid work permit.